While the Congress and other opposition political parties protesting the rising of fuel price and the BJP-led Rajasthan government had announced of a reduction in VAT on fuel prices by 4 per cent, Assam state BJP president and the party MLA, Ranjit Dass on Monday said that Assam will not reduce any state VAT on petrol and diesel. The Assam state BJP president said that, Assam needs more revenue for infrastructural development in the state. “Rajasthan matter is separate issue. But Assam will not do it,” Ranjit Dass said. Dass further said that, if everyone will leave bike-car driving, then how the country will go ahead. “We have to think about our country. States exchequer will be empty if reducing VAT,” Ranjit Dass said. It is to be mentioned that, the BJP-led Assam government had increased the VAT rates on petrol and diesel on June 14, 2017 by issuing a government notification (no – FTX.25/2008/Pt/111). According to the government notification issued last year, the state government had increased the VAT rates on diesel from 16.5 paise in the rupee to 23.66 and 27.5 to 32.66 paise in the rupee. On the other hand, All India United Democratic Front (AIUDF) criticised the BJP-led both centre and state government for failure to reduce fuel price. AIUDF MLA Anwar Hussain Laskar said that, Prime Minister Modi always talking big things, but the reality is completely difference. “The price is not as big as last 6-7 months. PM Modi, Finance minister Arun Jaitely always talking big things. 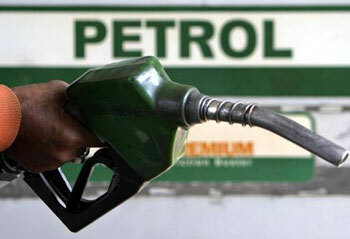 First show up to reduce fuel price,” the AIUDF MLA said.